Picking up the kids, they couldn’t get in the back seat as they couldn’t push the seats forward and the opening to get in back was tiny even for active youngsters. I took this vehicle mountain biking but there was hardly any space in the back to put my bike. 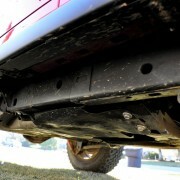 So I took the heavy rear eats out and it was better space-wise but only slightly. Finally, I took the front roof off to get some sun but then all the cold wind seemed to descend in to the cabin at highway speeds. Even the mighty heater and heated seats had a hard time of keeping me warm. 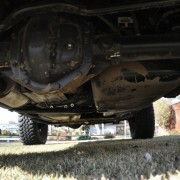 Electronic front sway bar disconnect – gives 20% more suspension articulation to keep the wheels on the ground. 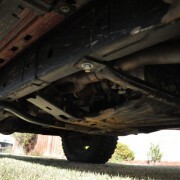 Electronic locking front and rear differentials. So all these features did not make sense for rushing down the 101 freeway or picking up the kids from school. 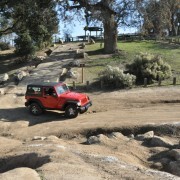 But when we went to the off-road park, every feature started to make sense. 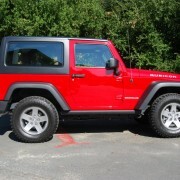 The Jeep would get stuck, I would press a button and off I went. 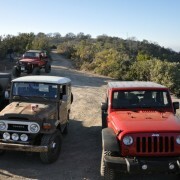 At first, I was intimidated as I was in a group of heavily modified jeeps and Toyotas. 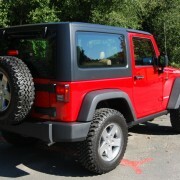 In addition, my experience level with off-roading was bascially zero. 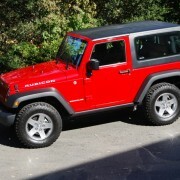 But every hour that went by, I uncovered the layers of the true off-roading prowess of the Jeep Rubicon. 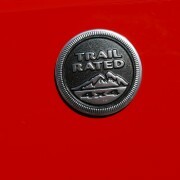 It had much more capability than what the trails offered today or what my courage could handle. 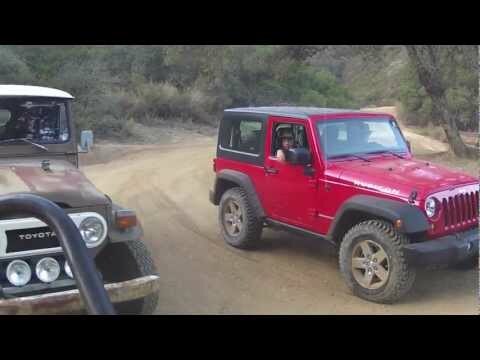 It was an amazing taste of what the Jeep Rubicon could truly handle. 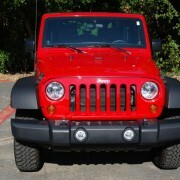 After driving a host of increasingly complicated vehicles that are over-burdened with technology, I reveled in the absolute simplicity and honesty of the latest Jeep Wrangler. Blissfully absent from this Jeep are such unnecessary and expensive contrivances as lane departure warning, pedestrian avoidance software, radar cruise control, and automatic braking. Pay attention to your driving and you won’t miss a single one of these aids that distance and distract you from the task of driving. 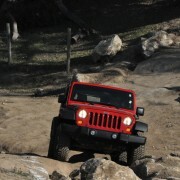 If you enjoy controlling your vehicle, then you’ll enjoy the technology-free, immediate feedback the Jeep provides. 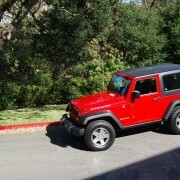 Let’s start with the Wrangler’s handling. 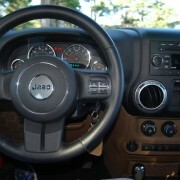 It’s super-quick steering responds immediately to the most minute input at the new, thick-rimmed steering wheel. 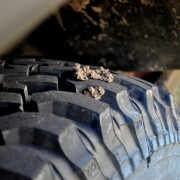 At first this trait, magnified by the balloon-sized 255/75 R17 BF Goodrich Mud-Terrain T/A tires, is disconcerting. You’ll find yourself weaving all over the road. 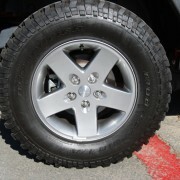 The “Baja Champion” emblazoned front tires seem inclined to follow every rut, causing you to over-correct for this tendency. But once you become used to the sensitivity level required, you relax your death grip on the wheel, and learn to enjoy the level of involvement required. 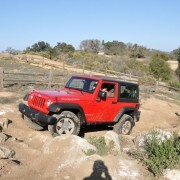 The Jeep Owner’s Manual is quick to remind you that the Wrangler, due to its tall stance and generous ground clearance, does not handle like a sports car, suggesting “If at all possible, avoid sharp turns or abrupt maneuvers.” But thanks to its short wheelbase, the Jeep is surprisingly agile on pavement and fun to drive on twisting roads. 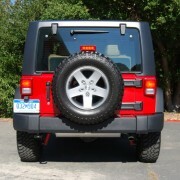 For off-road travel, the Rubicon features a front sway bar which can be disconnected to provide more traction when trailing in the outback. A dashboard-mounted switch left of the steering column, allows you to access this handy feature on the fly. Next to the sway bar switch is an axle lock switch which permits you to lock both rear wheels for maximum grip on uneven surfaces. 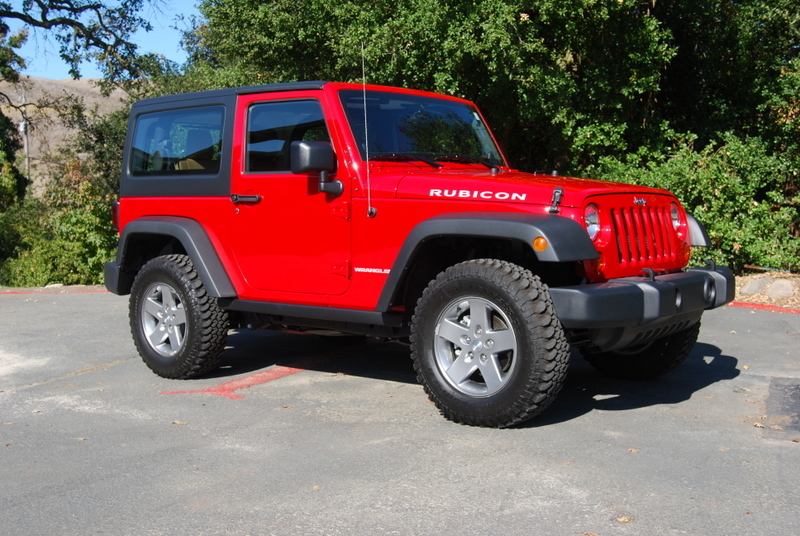 Because the Rubicon is designed for drivers with serious off-road aspirations, this Jeep boasts a Rock-Trac transfer case with a 4:1 final drive ratio. Adding spice to the mix is a torquey, 3.6 liter Pentastar V-6 engine, new for 2012, that produces 285 horsepower and 260 lb.-ft. of torque. A notchy 6-speed manual gearbox is standard. Replacing the previous model’s 4 speed automatic transmission is a new 5-speed automatic W5A85D gearbox that adds $1,125 to the sticker price. The 24 valve V6, despite being 200cc smaller than last year’s 3.8 liter V6, depends on variable valve timing to improve passing performance and fuel consumption over its predecessor. 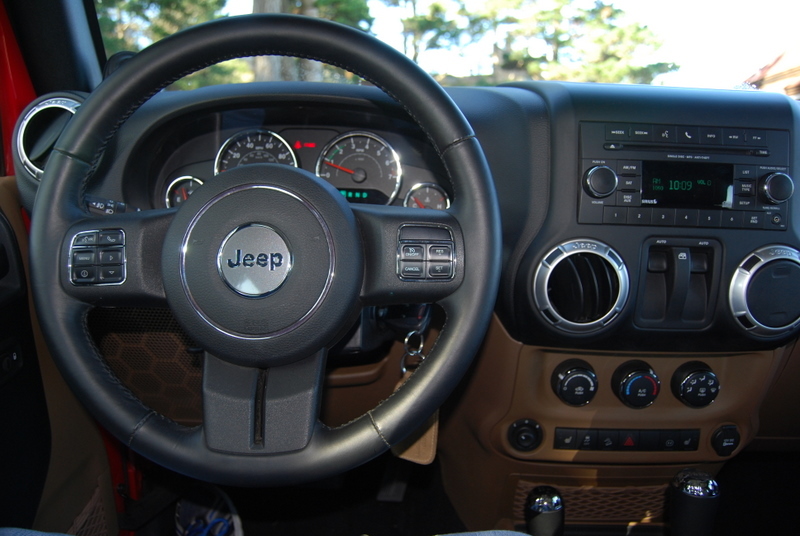 Whereas last year’s automatic transmission Jeep returned 15 MPG City and 19 MPG Highway, the 2012 model posts figures of 17/21. 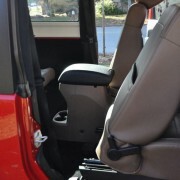 Jeep has also upgraded the interior fittings. 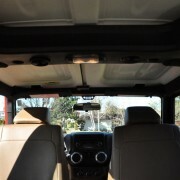 Especially nice touches are the totemic Jeep grill sunshade printed on the windshield between the sun visors, and the discreetly incised “Since 1941” logo on the passenger grab bar. 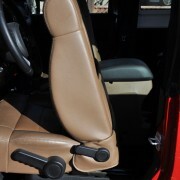 The front seats are nicely upholstered in leather, heated, and plenty supportive, even when bouncing around the outback. Visibility in all directions is refreshingly good, even though the rear seat headrests, back wiper, and full size spare obscure direct rear vision. 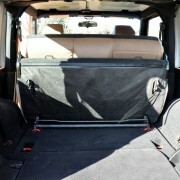 Friends who hitched rides in the bench-style 60/40 folding rear seat reported no problems beyond those posed by difficult ingress/egress. 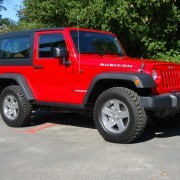 If you plan to carry 4 regularly, then opt for the 4-door version of the Rubicon. 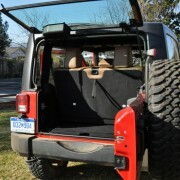 The nifty hardtop removes in 3 separate sections to convert the Wrangler from coupe to convertible. 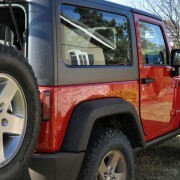 In sum, the Wrangler Rubicon is a marvelously idiosyncratic vehicle that has lost none of its charm since 1941, but rather gained a lot of everyday practicality in the intervening years.